I am a little behind sharing with you a little bit about my September trip to North California and Arizona. I swam in the Pacific Ocean, went to see the Saguaro cactus, tasted handcrafted wine in Napa Valley and visited with wonderful friends and family. When getting together with those we love, times often call for delicious food. This visit was no exception and I wanted to share with you a few of our wonderful unique and wonderful local food experiences on my trip. I hope that you feel inspired to try new foods whether they are on your travels or your kitchen. The view from Greens’s Restaurant at supper. 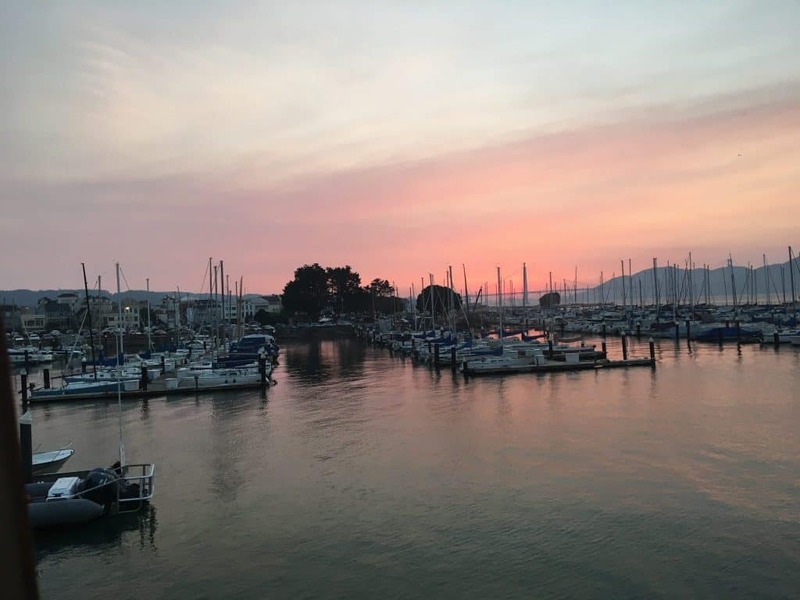 Our first stop was San Franciso and as soon as we got off the plane, we went to visit the local fish market in the Mission District to pick out our supper! Our friend prepared several delicious meals using fresh seafood as the centerpiece of the meal. While we were in town, we dinned at both the Tartine Bakery and Arizmendi Bakery for fresh bread and pastries,The Slanted Door for fresh and mouth watering Vietnamese food and the award-winning Greens Restaurant which has been at the top of my all time food “bucket list”. 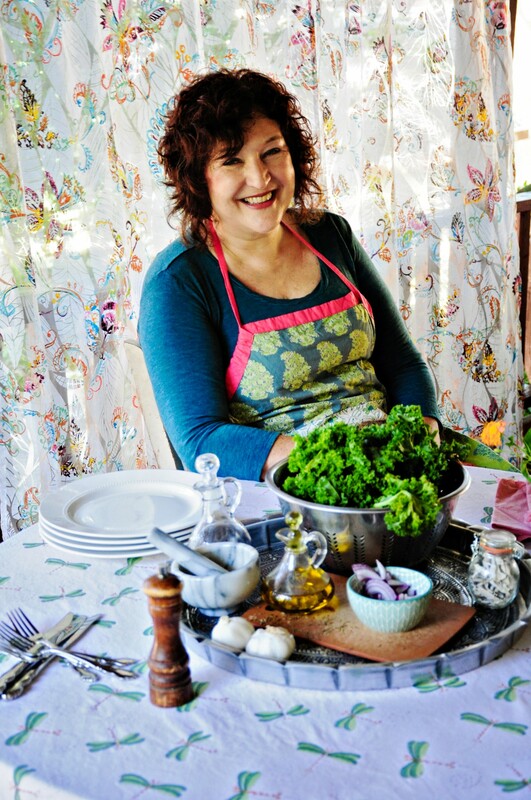 I have been a long time fan of both Deborah Madison and Annie Somerville, and have many of their cookbooks. 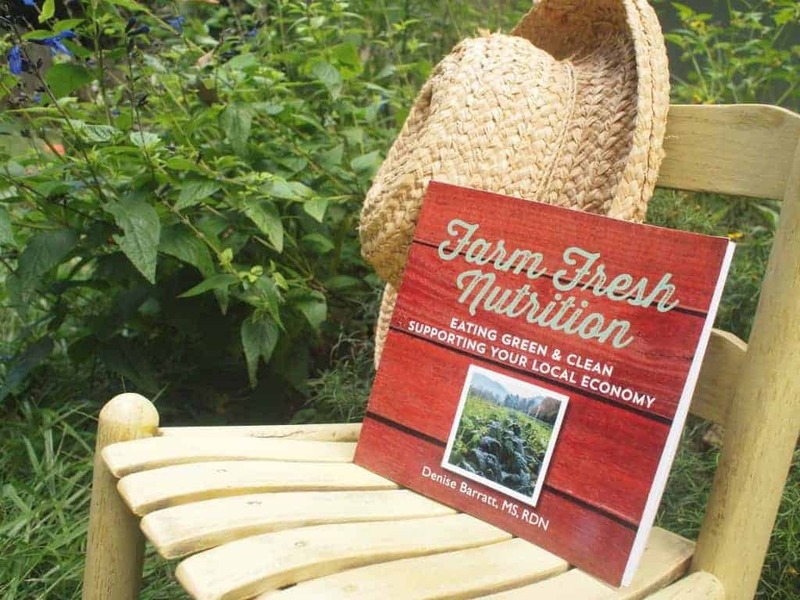 Their plant based recipes and menus based on seasonal ingredients from local farms for over 35 years have been an inspiration to my cooking and my nutrition counseling with my clients. Both the Slanted Door and Greens have an incredible view of the San Francisco Bay which also included a beautiful sunset while we were there. Compliments of a beautiful sunny day and my friend’s request to have the best table in the house! On our very last day, we had a burrito at La Taqueria that won an award for America’s best burrito! 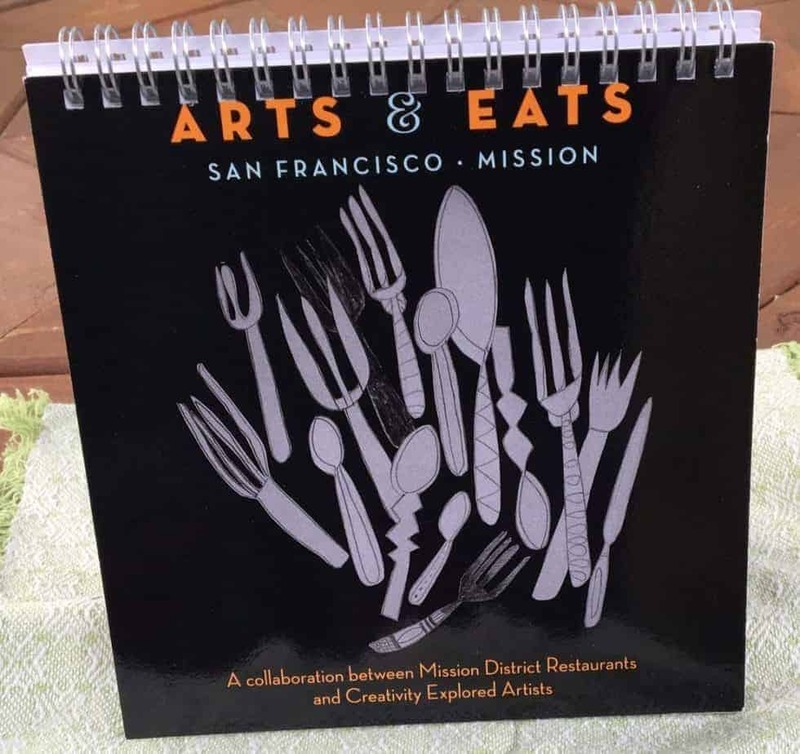 I soon realized that 4 or 5 days is just not enough time to make a dent into the wonderful food offerings in city by the bay and one of the special things that I took home with me was a little book titled Arts and Eats – a collaboration between Mission District Restaurants and Creativity Explored Artists. This little flip book will give me the opportunity to try even more recipes from the talented chefs in my friends’ neighborhood. 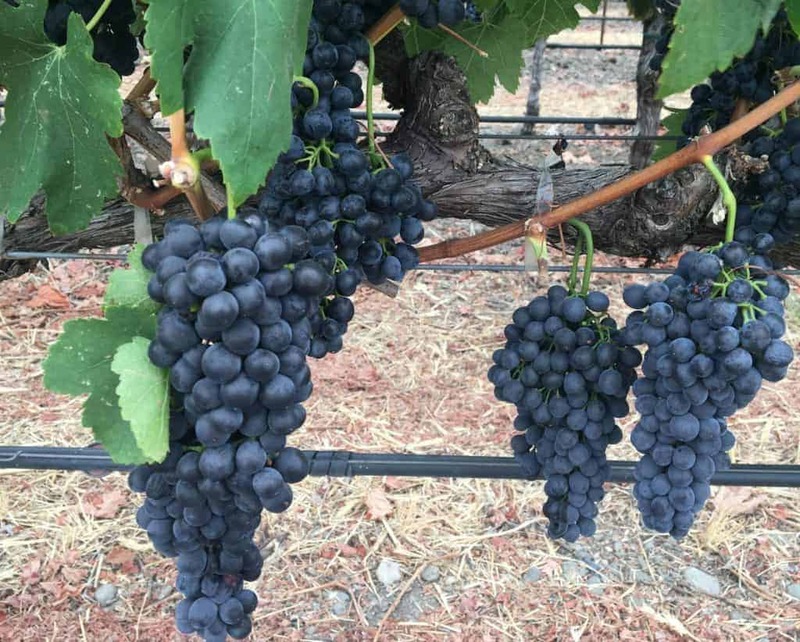 These beautiful grapes will be made into wine. After leaving San Francisco, we visited friends and took a whirlwind tour of Napa Valley. On our first day, our friends took us to the cider festival at theThe Culinary Instititutes of America at Copia where we had the chance to sample a variety of unique California ciders in addition to a few others across the country. We had a wonderful box lunch while we were there and had a picnic beneath grapes overhead on a pergola. After cider sampling we had dinner in downtown Napa at Oenotri, southern style Italian restaurant where we tried their house made pasta and other dishes all made from scratch. We ended the evening trying three different vintages of barbera wine that our friends handcrafted and voted for our favorite!The next day,our friends made a delicious breakfast which included a fig kuchen (a German style cake with fruit from their fig tree) and the best breakfast strata that I ever had! We had to have our nourishment before our wine tour! Our designated driver took us to The Robert Modavi Winery and Mumm Champagnes to do some wine tasting. We stopped by Sunshine Foods Market and picked up some fresh made sandwiches and had a lovely picnic at the park in downtown Saint Helena. Along the way, we toured the Culinary Institutes of America-Saint Helena The Culinary Institutes of America at Saint Helena where our friend teaches. We also had a chance to check out their school garden. We also stopped by The French Laundry restaurant garden. It is amazing to see all the wonderful things that are grown to use in their menus! To top off the end of the day, our friends prepared a Cioponni-an absolutely lovely seafood soup, tasty green salad and a seriously, scrumptious stone fruit crisp full of cherries, peaches, nectarines and plums. All of this was washed down with the rest of the barbera wine that they had made that we had leftover from our taste test. 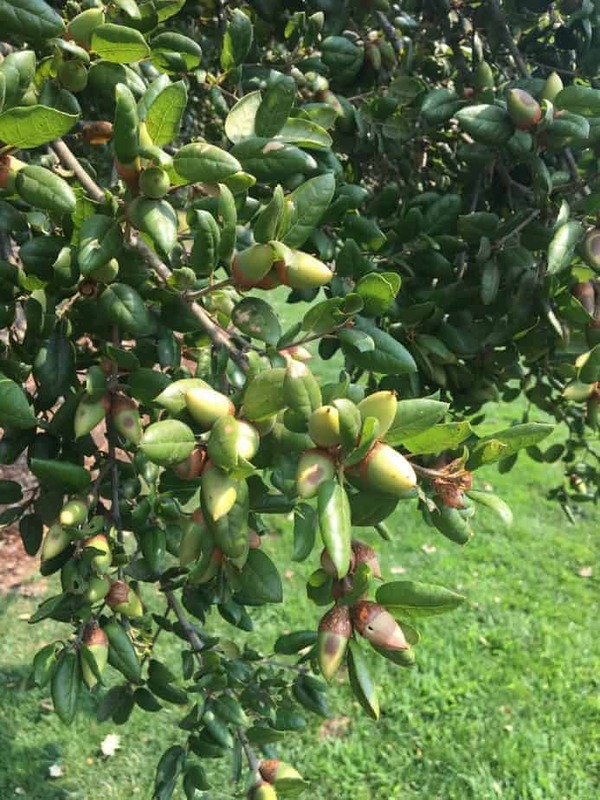 Very exciting to see almonds growing on the tree that will become a farm to table meal! After leaving California, we went on our Southwest leg of the trip to Tuscon, Arizona. Although, I have been to the Grand Canyon twice each for a very brief time (less than a day each), I have not really been to anywhere else in Arizona so I did not know what to expect. We were greeted by our friends who were our guides to Sororan desert. Living in the rain forest of the United States, it took a little getting used to the sand and dirt but the longer that I was there, the more that I fell in love with being there! 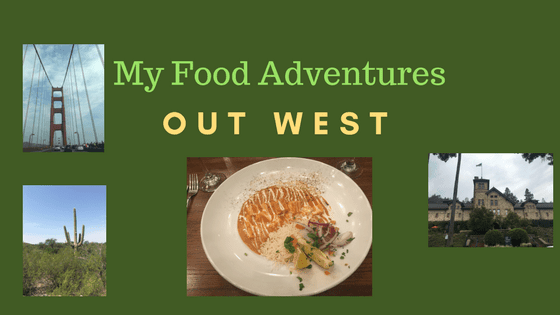 While in Tuscon, you have to try out some of the local Mexican food and we had a chance to eat downtown at El Charro Cafe and take a hike at the Saguaro National Park to see the lovely saguaro cactus. I also loved to see their cousins the prickly pear, organ and barrel cactus. We drove up to Mount Lemmon which is part of the Coronado National Forest and along the way saw beautiful rock formations and views. Towards the top, we ate lunch at the Iron Door for a sandwich and to split a giant slice of fruit pie! Who would have thought the temperature would have been so cool in September in the Arizona desert up there! After we rested up from our mountain adventure, we had supper at The Twisted Tandoor with it’s intriguing food and cocktail menu! 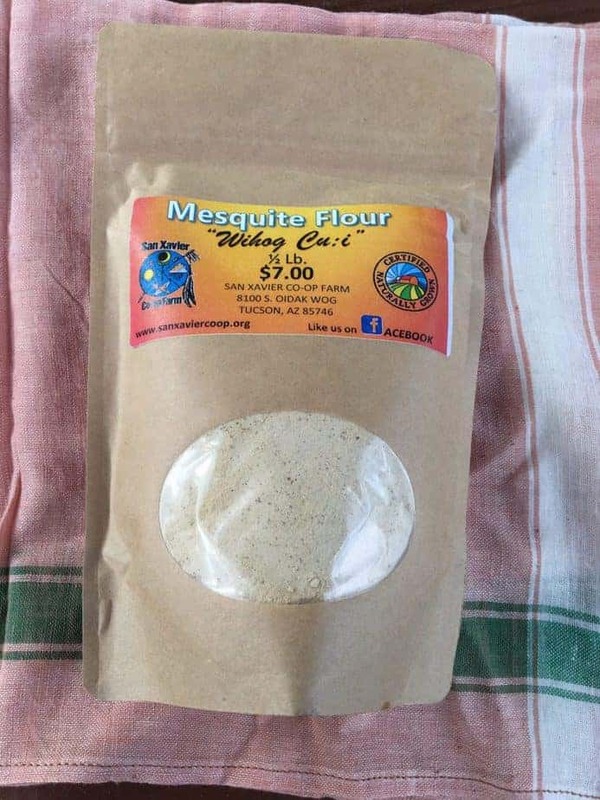 While we were out my friend grabbed us each a copy of the Edible Baja Arizona and I became even more amazed local food scene where I was visiting. 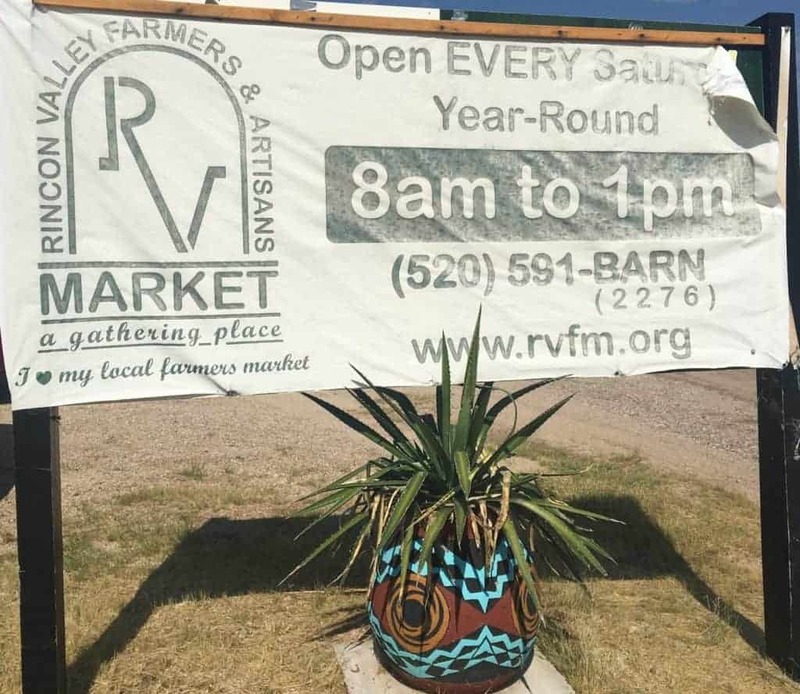 The next day we visited the Rincom Valley Farmers’ Market in Vail, Arizona. We were on the hatch chili hunt but realized it was a little early to get them dried. We then went to the San Xavier Indian Reservation to see the historic mission and try the Indian fry bread made by a young lady from the Tohono O-odham Nation. Afterwards we visited the San Xavier Coop Store so I could purchase some mesquite flour which is made from mesquite pods. I will let you know what I make with it! I have felt renewed since getting back from our trip with a new sense of creativity and looking forward to my next cultural food adventure. I think learning other people live and eat in other parts of the country and the world helps tie us all together. Where have you visited and learned about food? I would really love to hear about it! 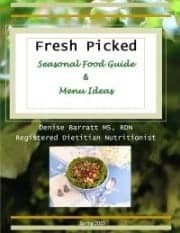 I am an Asheville registered dietitian nutritionist and I am excited that you found my blog. I hope that you stop by again soon!